Those that know me well, know that my greatest love is children’s literature – particularly picture books, but running second is being a bit of an animal activist. I also have a love of elephants that is inexplicable but that has been ever present in my life from early childhood – so there was something that instantly drew me to the combination of these two things when I saw Ella by Nicole Godwin and Demelsa Haughton. I knew this book was going to have an important message told in a tender way: you can see it on the front cover. Nicole Godwin’s story is based on her real life experiences with elephants in Thailand, where she experienced both sides of the elephant industry, from cruel and harsh training for the purpose of tourism, through to volunteering at an elephant sanctuary, where the best is done to give mistreated rescue elephants a dignified place to live out the rest of their days. ‘Ella’ takes us on a quintessential representation of this experience. It is a brave journey that presents the truth. Children want to know the truth and as adults we have a responsibility of care to teach facts in an open and accurate way, ensuring that we are contributing to empathetic and compassionate future generations. 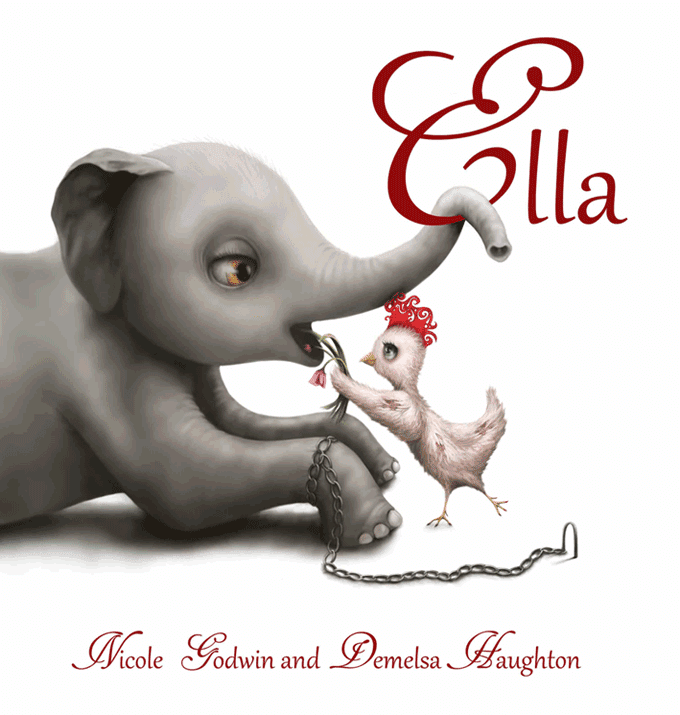 Of course, we don’t want to frighten children, and that is a tender balance that Nicole Godwin masters with her words and Demelsa Haughton supports with her beautiful illustrations. Ella, the baby elephant in this story, has a sad, heart-rending story to tell - but she has strength, courage, persistence and determination that lead her towards an ending with a happy outcome. Picture books need to engage adult storytellers and this book will definitely do that and will initiate conversations with children on different levels depending upon their age. I feel saddened at the amount and extent of animal cruelty in the world – which is why more books like this are needed. I recommend that every household, pre-school, kindergarten and primary school keep a copy of this serious but beautifully told story on their shelves. Brook Tayla writes a blog called telltalestome@wordpress.com and would love you to drop by, read some reviews, leave a comment and subscribe.